December is always a fun time as the tech press and industry look forward to the next big thing, or a small thing that could make a huge difference. This roundup takes a look at the most common and outlier trends that IT needs to be prepared for in the new year. The big news is that almost everyone is down on blockchain as 2018 ends and cryptocurrencies continue to take a hammering. However, now the golden egg is laid to rest and speculators look elsewhere, 2019 will be a good time for beneficial blockchain use cases to start showing their stuff. Inc.com reckons “Blockchain in the B2B world has been all hype with no significant transaction volume, but there are signs that this will change in 2019. To deal with cash flow, financing, settlements, and other ways of sharing value at scale, you need to get past the current hour-by-hour volatility and ensure a stable medium of exchange.” If that happens, blockchain’s impact in supply chain and finance or legal transactions will show more than just promise. Business and IT research company Gartner leads with artificial intelligence as having a major impact in 2019, not just for the value it will offer infrastructure and operations types who manage growing infrastructure without limits on staff and budget. The firm says, “AI has the potential to be organizationally transformational and is at the core of digital business, the impacts of which are already being felt within organizations. According to Gartner, global AI-derived business value will reach nearly $3.9 trillion by 2022.” Over in the research firm’s Personal Technology 2019 trend piece, it doubles down on AI with a focus on machine learning and virtual assistants. Fellow analysts at Forrester are predicting a backlash against Chatbots in customer experience, a mainstay of AI and machine learning. But that’s something always on the cards as the number of bots grows rapidly and some company’s treat them as quick-and-easy solutions, leaving customers whose questions aren’t answered less than impressed. In reality, expect satisfaction levels to continue to rise slowly but by the end of 2020, most users will be aware of the benefits and limitations of a bot. In line with that, Forbes continues to predict AI and chatbots as major drivers for marketing in the coming year and Oracle reckons bots will save businesses over $8 billion per year. Phones have been getting thinner cases and larger screens for years, but we’re pretty much limited by pocket or purse size and the latest models reflect that, going for the no-bezel approach to add screen real estate while keeping the overall size down. Foldable screens in 2019 will be the usual gimmick to start with, with Samsung leading the way. But, we shouldn’t be far off wraparound wearables that combine the best of smartwatches and smartphones. Expect all sorts of bendy gadgets at CES 2019, along with revisions on product categories that have grown fast in the last year. There will be more robots packing AI, smarter cars and battery systems, digital-enabled kitchens and of course, LG’s smart craft beer brewing system! Of course, all of this gadgety and tech will come to nothing if we can’t secure it, so the biggest trend in 2019 will be ensuring all these endpoints, interconnections and services. 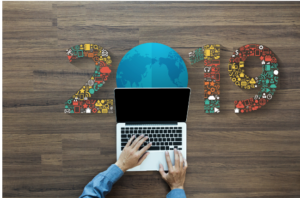 Trend Micro’s predictions see growth in social engineering, growing automation and work-from-home will risk new compromises. On the largest scales, governments will demand social media fight or push fake news depending on their requirements, while attacks will start causing more physical harm to people and damage to businesses. 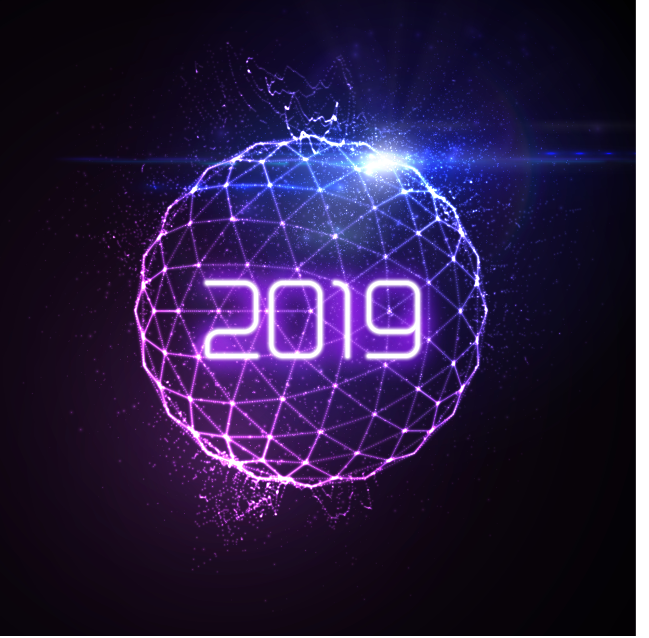 Where ever technology takes us in 2019 and beyond, the need for safety as AI systems do more for us, and Internets of Things tie it all together is paramount. With that in mind, don’t let your business focus slip on the shiny new toys when a single weak point can cause so much harm.